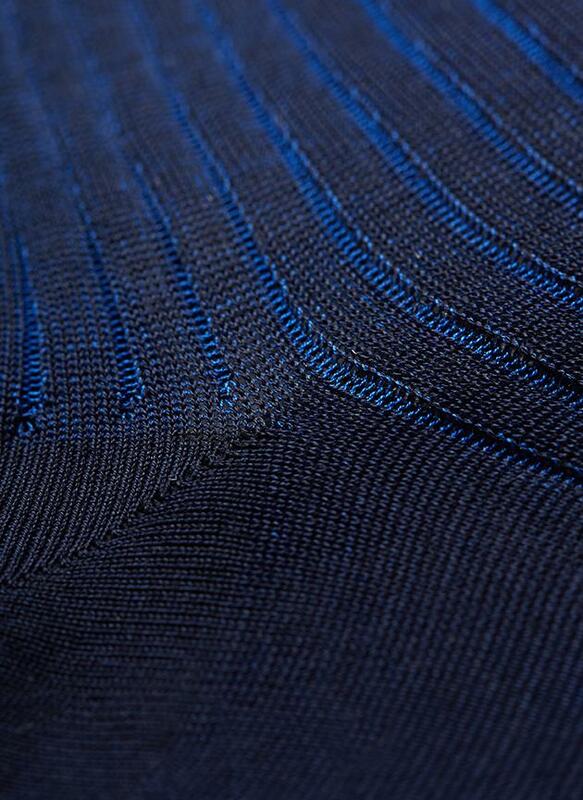 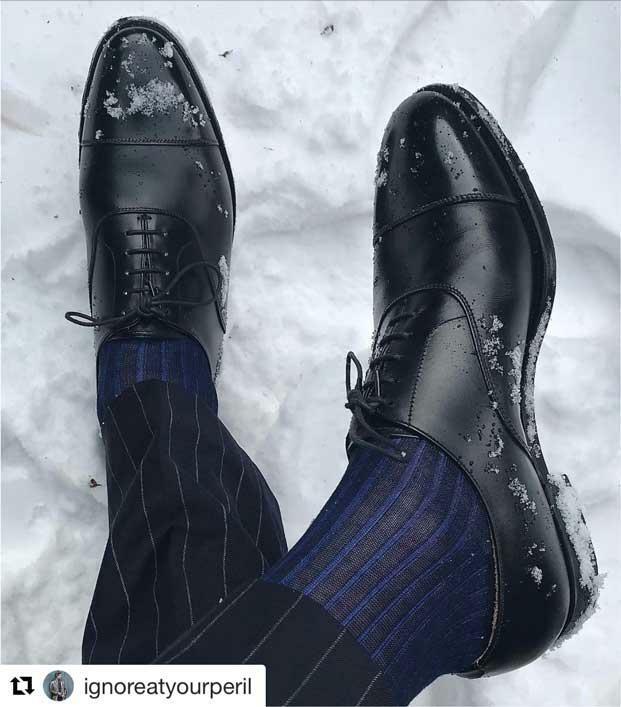 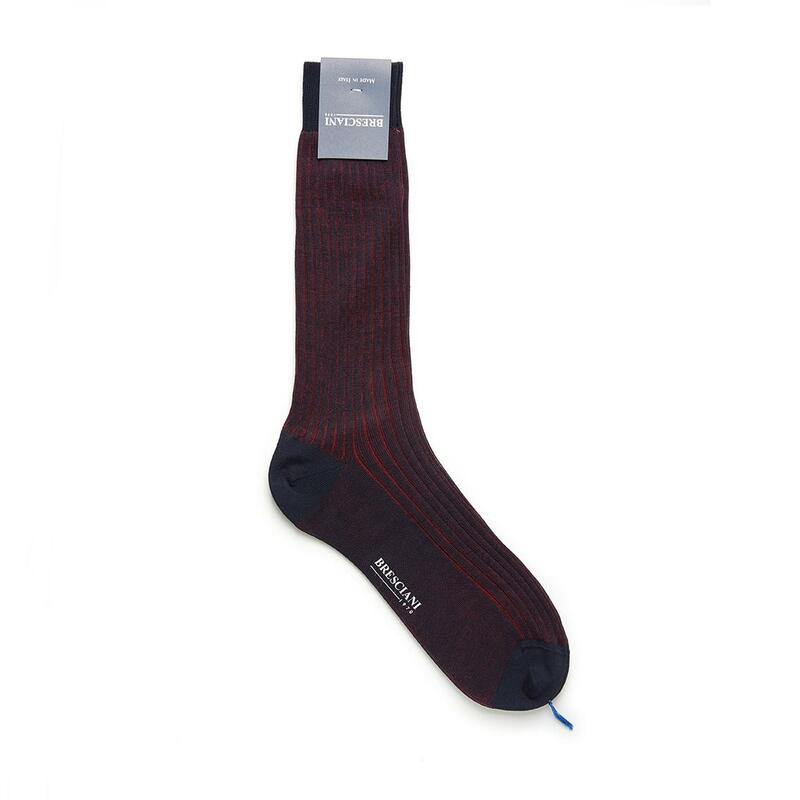 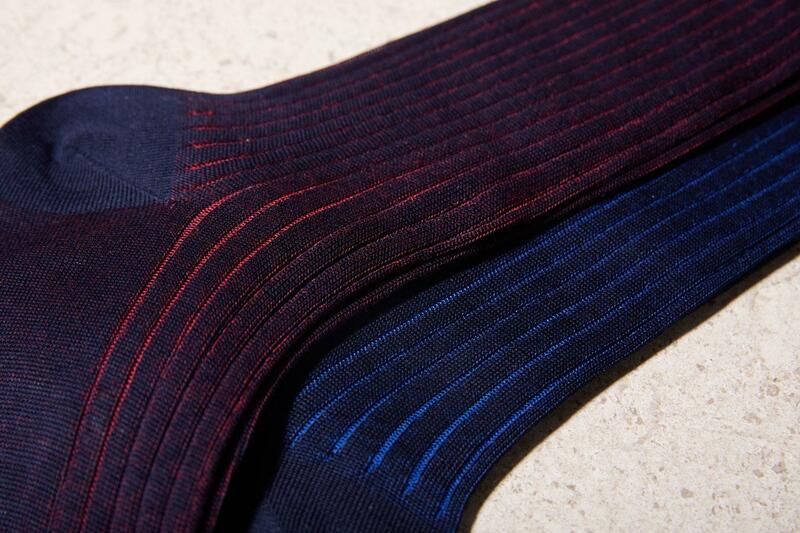 Navy and red socks in vanisé rib pattern by Bresciani. 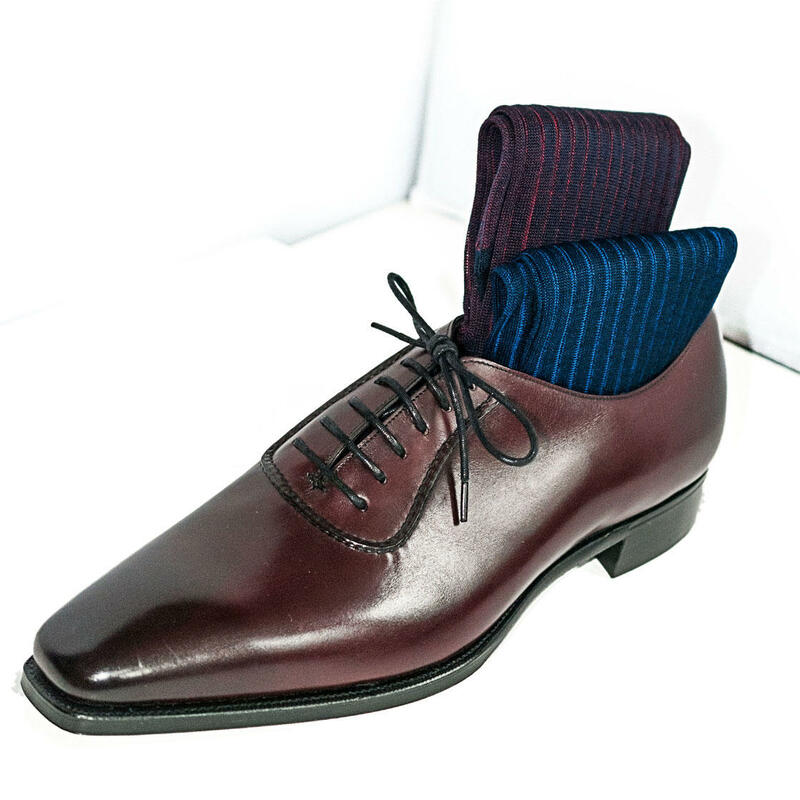 Made in Italy by highly skilled craftsmen. 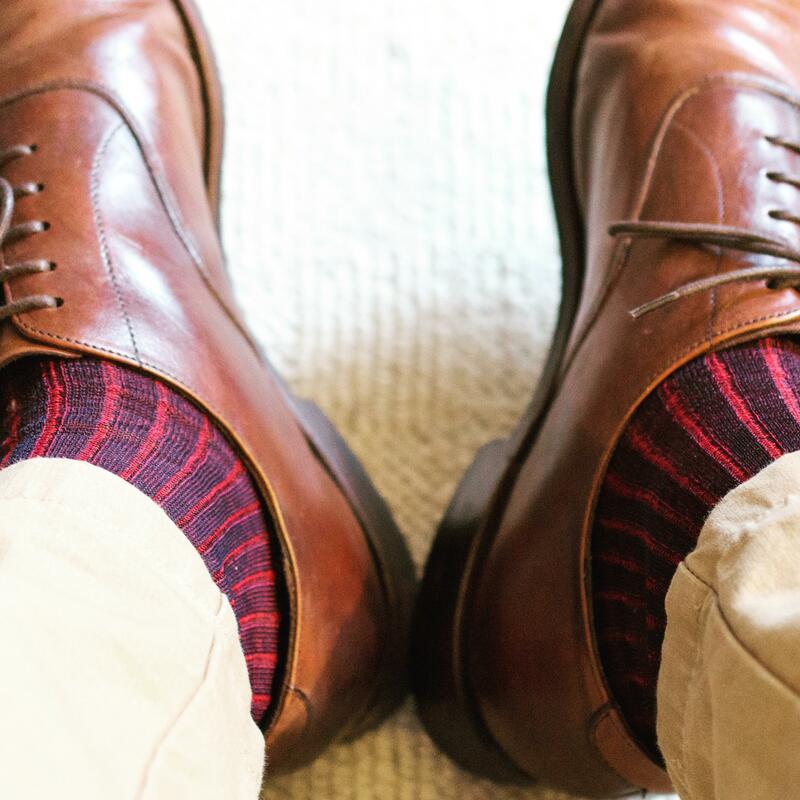 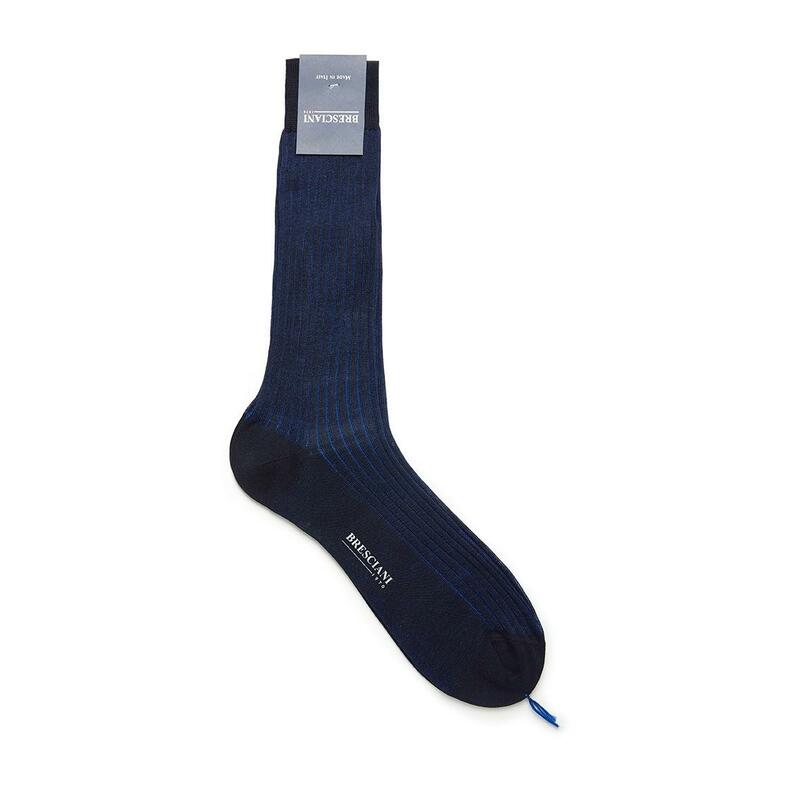 The vanisé rib is a classic dress sock style. 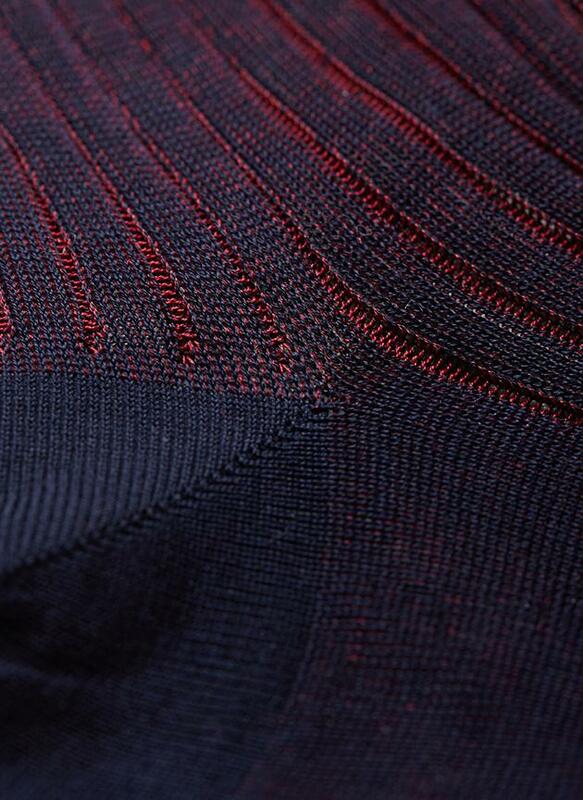 The double-face knitting technique produces two distinct layers resulting in a mélange of colours.